FSV Mainz 05 vs Nurnberg predictions for this weekend’s German Bundesliga. Mainz take on basement boys Nurnberg at the Opel Arena on Saturday. Read on for our free betting tips and match preview. Mainz’s start to 2019 could only have been slightly better. Saturday saw the 05ers 3-0 up away to Stuttgart with 10 minutes to go before two late goals meant they left the Mercedes Benz Arena with ‘just’ a 3-2 win. Mainz have now lost just one of their last six Bundesliga outings – a defeat to RB Leipzig at that – and they also boast the joint fifth-best defence in the division at the halfway stage with only 24 goals conceded – not bad going. More importantly, though, coach Sandro Schwarz seems to have addressed the “goal problem” that plagued them early on this season – they have scored at least one goal in each of their last ten. Basement boys Nurnberg are their opposition and they started 2019 as miserably as they ended 2018. A 3-1 defeat at home to Hertha Berlin – their eleventh loss of the season (W2 D5 L11) – was a result that saw them remain rooted to the bottom of the table, four points from safety. Coach Kollner’s men have taken just three points from their last 12 Bundesliga outings too (D3 L10) – a league-low – though they’re boosted by the return of midfielder Hanno Behrens – top scorer in their 17/18 promotion-winning season – from injury. He scored their only goal last weekend. The biggest question for them now is ‘how are we going to stop conceding?’. Mainz look to take advantage of that and their change to a more goal focused approach should be the most influential factor in this match, and that’s the angle we’re going for with a bet on ‘over 2.5 goals’. Nurnberg have the single worst defensive record in the Bundesliga – 41 goals conceded, an average of just over two goals per game – and yet Mainz haven’t been going much better. Mainz have failed to keep a clean sheet in 10 of their last 11 league outings too which is a recipe for success in terms of goals. The 05ers’ attacking form should be more than enough to find the back of the net multiple times against a side that is conceding an average of over 3 goals per game on the road, though. In-form forward Mateta looks the man most likely to do that. Only Borussia Dortmund, Bayern Munich, RB Leipzig and Borussia Monchengladbach have conceded fewer in the league than Mainz, so you’d have to be really optimistic to see Nurnberg getting more than one, despite Mainz’s relatively poor defensive form. Mainz look to have the manpower and form needed to get the job done here and their strong track record against Nurnberg – winning each of the last seven meetings at the Opel Arena against them – does lean us towards them getting the win. And that was even before getting to the fact that Nurnberg have the worst travelling record in the league (D2 L6). Our prediction: 3-1 Mainz. Nürnberg have won just one of their last nine Bundesliga games against Mainz (2-1 at home in April 2013, otherwise D4 L4). 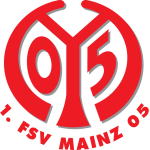 Mainz have won seven of their Bundesliga home matches against Nürnberg (L1 – 1-0 in December 2004). They’ve recorded more top-flight home wins over FCN than any other side. 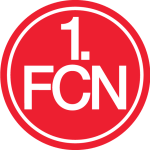 Nürnberg average 0.38 points per Bundesliga game in Mainz – fewer than away to any other side (minimum 2 visits). Mainz are unbeaten in three Bundesliga games (W1 D2) – they haven’t gone on a longer such run since October-December 2015 (6). Mainz have scored in 10 consecutive Bundesliga matches – they haven’t gone on a longer such run since January-April 2012 (13 in a row under Thomas Tuchel). Mainz’s Jean-Philippe Mateta has claimed six scorer points across his last nine Bundesliga outings (5 goals + 1 assist). He’s scored a league-high five goals in the opening 30 minutes of games of this season. Nürnberg have 11 points on the board – their worst-ever tally after 18 Bundesliga games (previously 12). Nürnberg are yet to win an away match this term (same as Hannover). They have claimed a league-low two points on the road in 2018/19 (D2 L6). Nürnberg have scored five goals from corners – only Augsburg (7) and Gladbach (6) have scored more in this fashion. They’ve netted just two goals across the last six matchdays – both came from corners. Nürnberg have conceded a league-high 41 goals in 2018/19. They’ve only once been worse off at this stage of a top-flight campaign: 1983/84 (43; they were relegated).